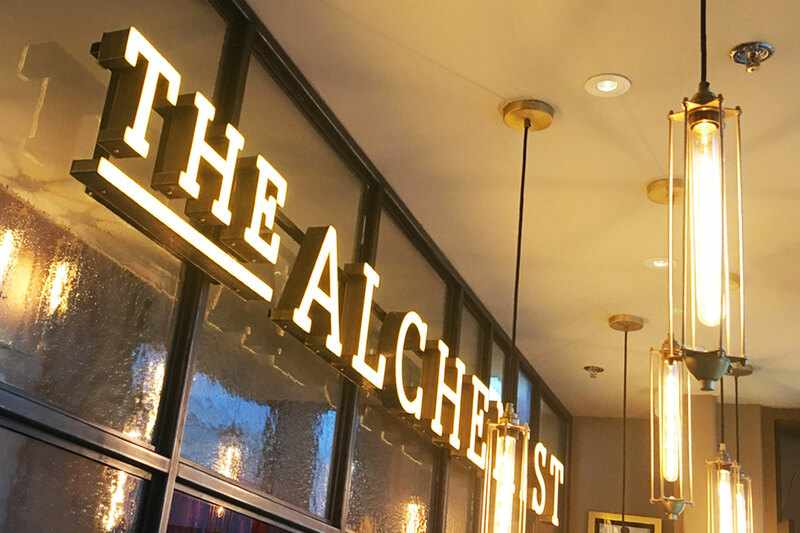 Alchemist Bar and Restaurant is Living Ventures distinguished brand. 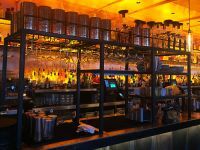 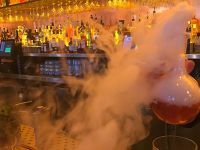 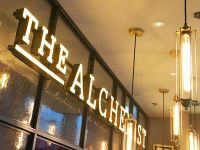 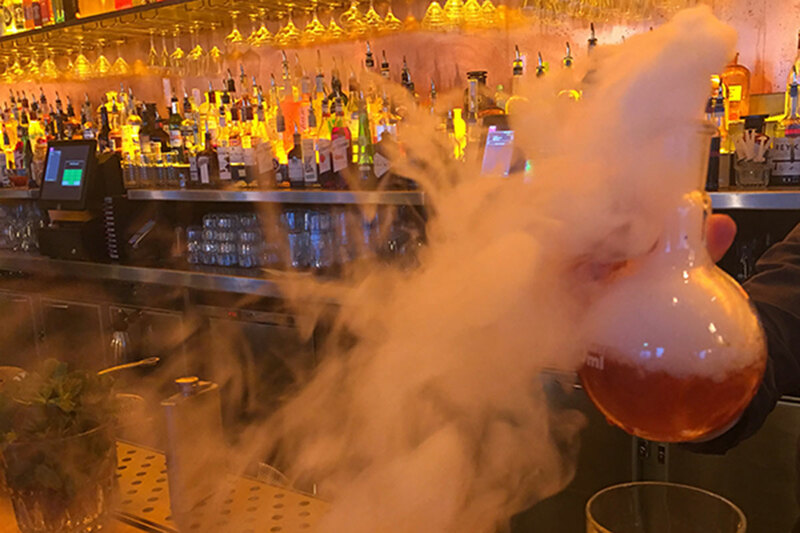 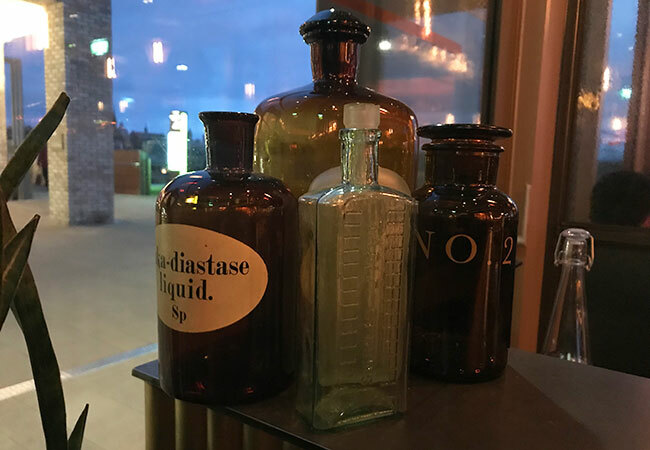 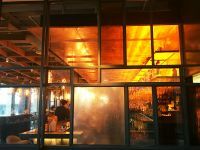 Alchemist is now a well-established cocktail and restaurant chain, famous for its dramatic attitude to mixing cocktails and matching Interior Design. 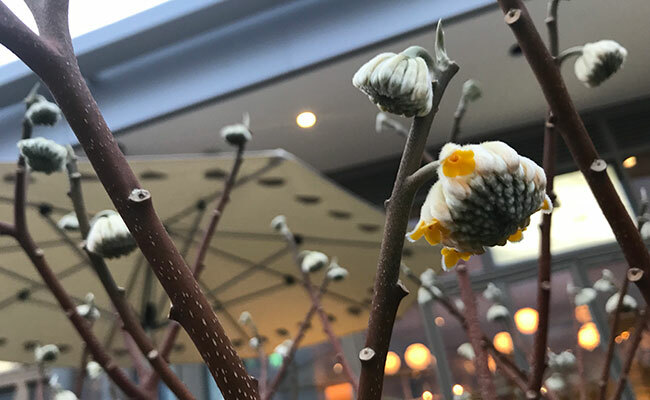 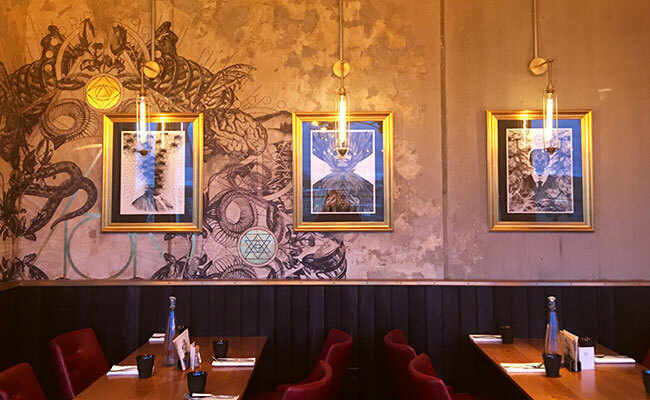 Interior design is a big part of the restaurant’s vision. 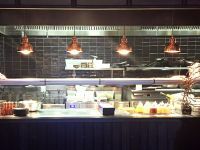 Large part of £1.5 million shop-fitting budget was used on décor and lighting. 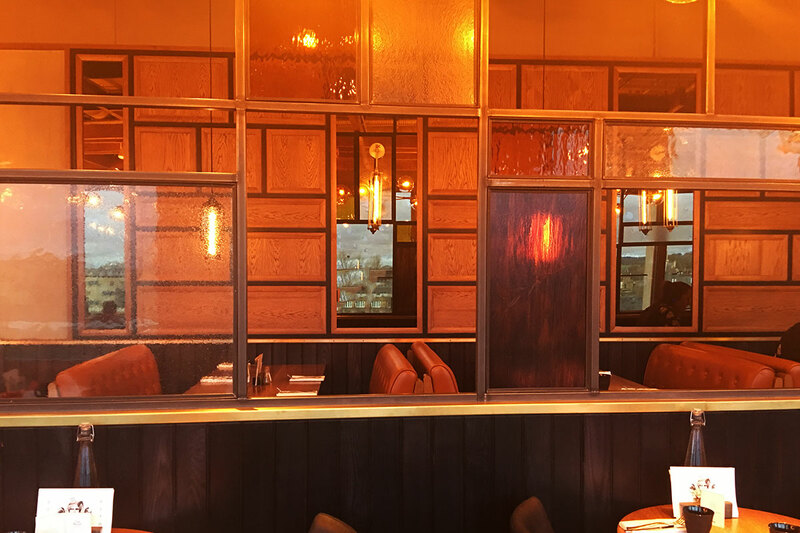 Warm amber interior is coupled with sleek grey patina hues. 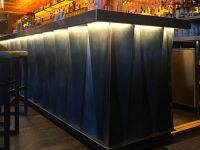 The main aesthetic future is the bar which dominates space and demands attention. 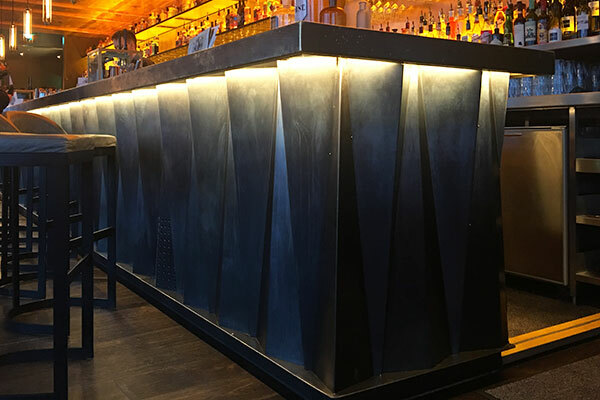 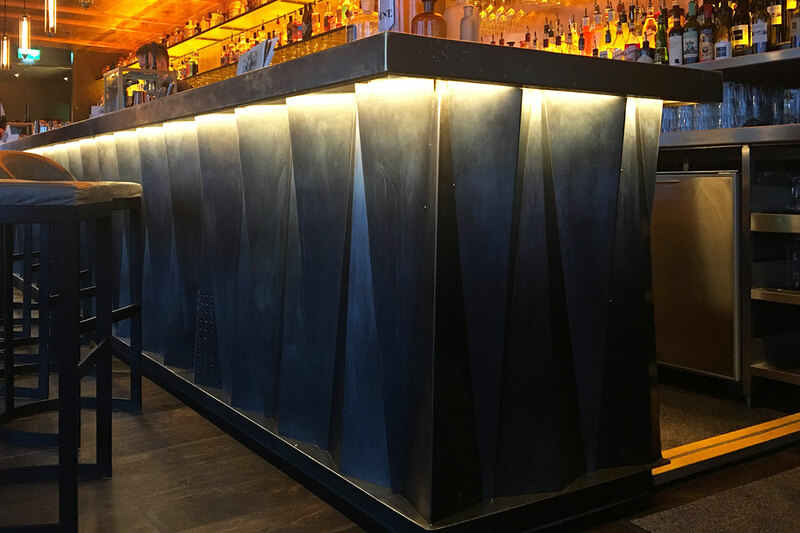 Bar front is geometric origami pewter clad MDF with copper clad back wall and ceiling. 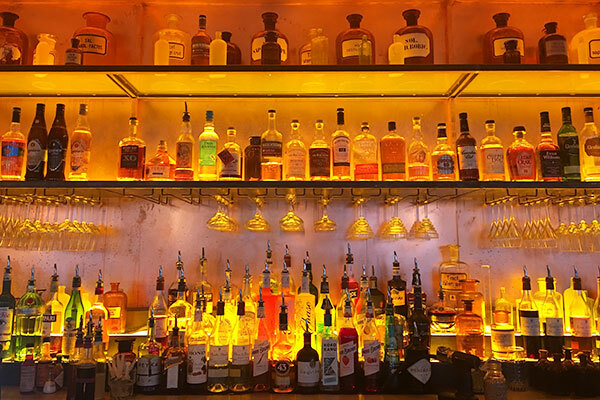 Illuminated bottle display highlights the copper and creates warm glow which spills onto the rest of the space. 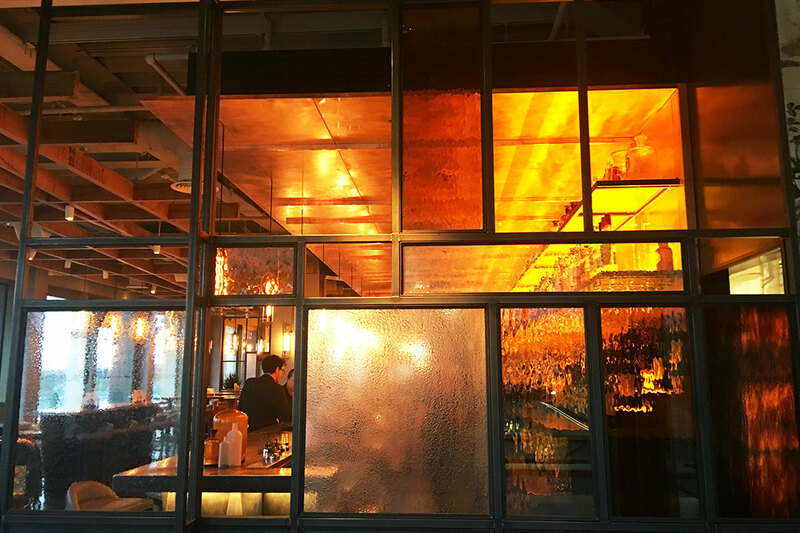 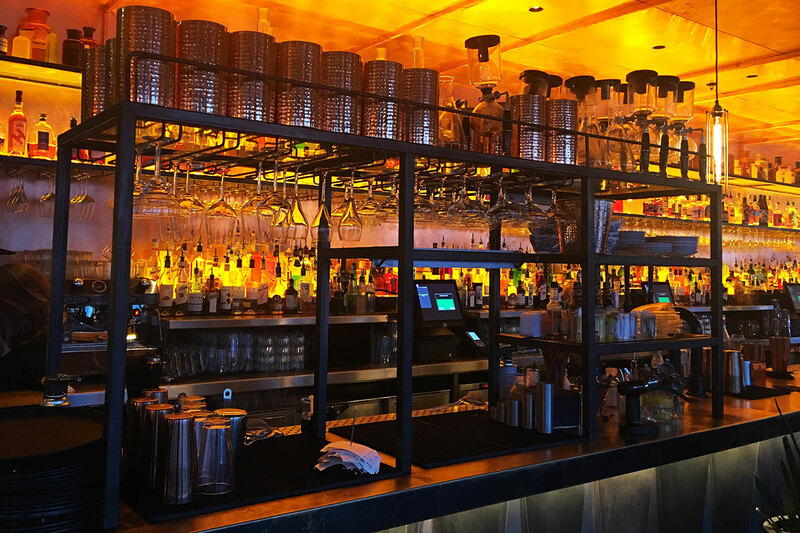 This interior shows the distinctive aesthetic that requires skilled restaurant and bar designer. 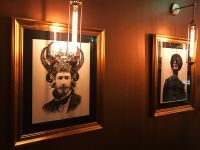 Lighting complements the rich copper tables, dark furniture and theatrical interiors, highlighting unusual art work, and providing the perfect setting for a unique social atmosphere. 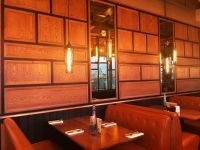 The décor reflects the brand’s distinctive ethos, with plenty of glass, metal, wooden panelling, bevelled edge mirrors and bespoke artwork. This emphasise the Alchemists role of conjuring simple materials to create precious results. 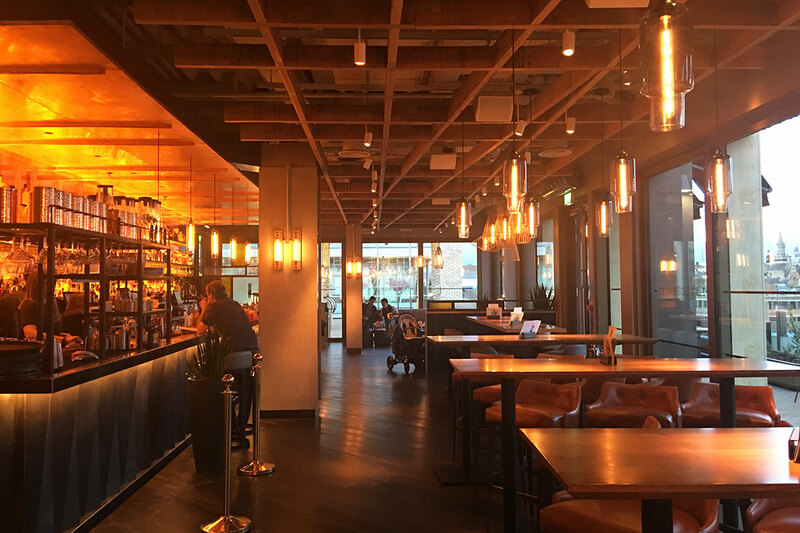 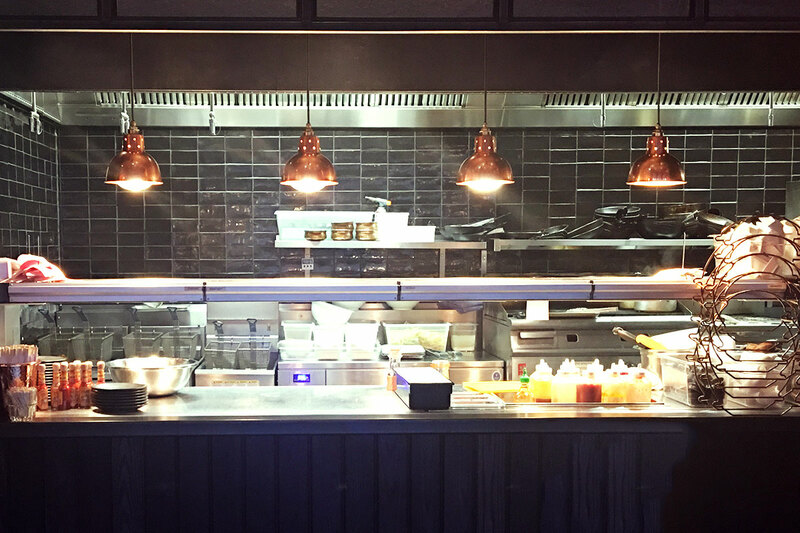 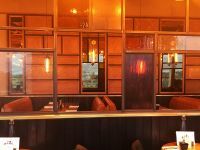 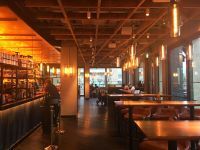 Wide oak diagonal timber floor runs throughout the restaurant interior and areas are segregated by metal framed glass screens featuring odd coloured glass. 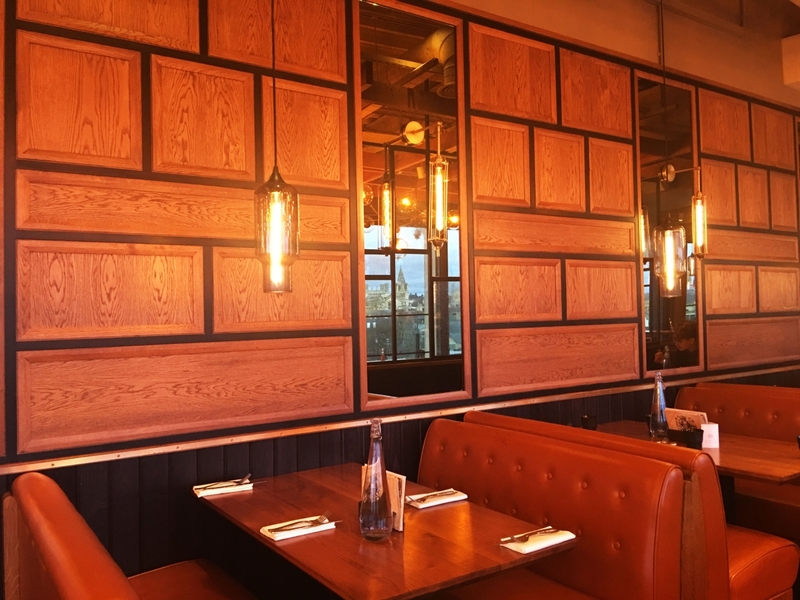 Plushness comes from plump sable leather banquette seating. 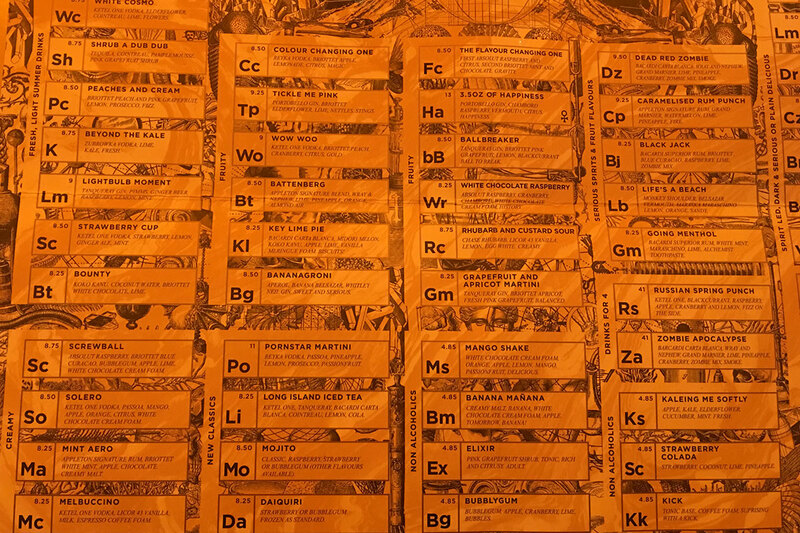 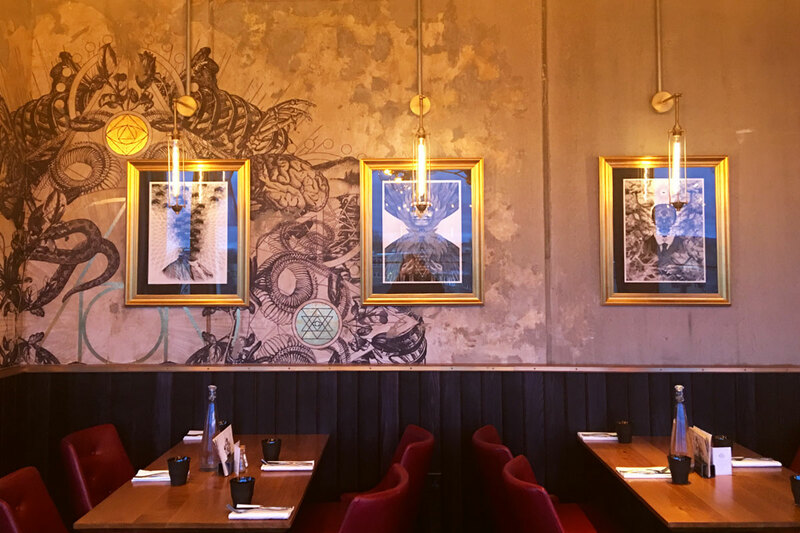 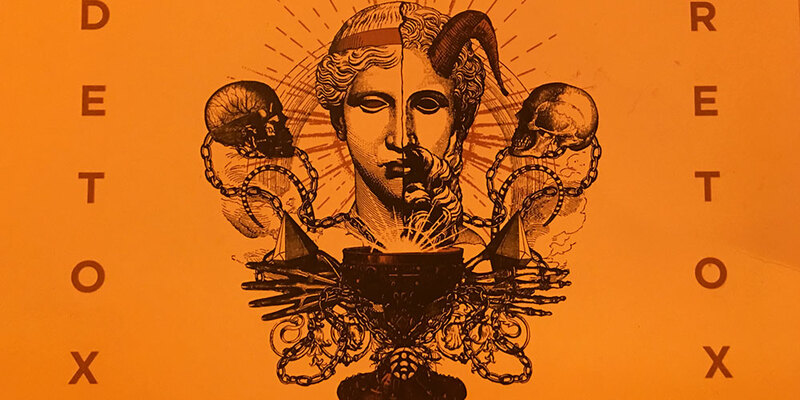 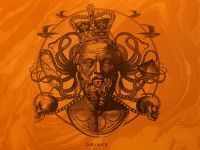 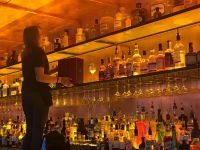 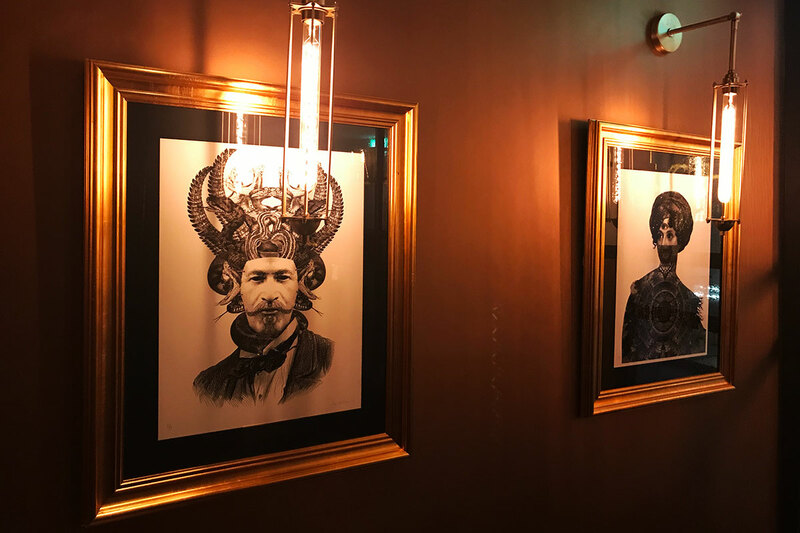 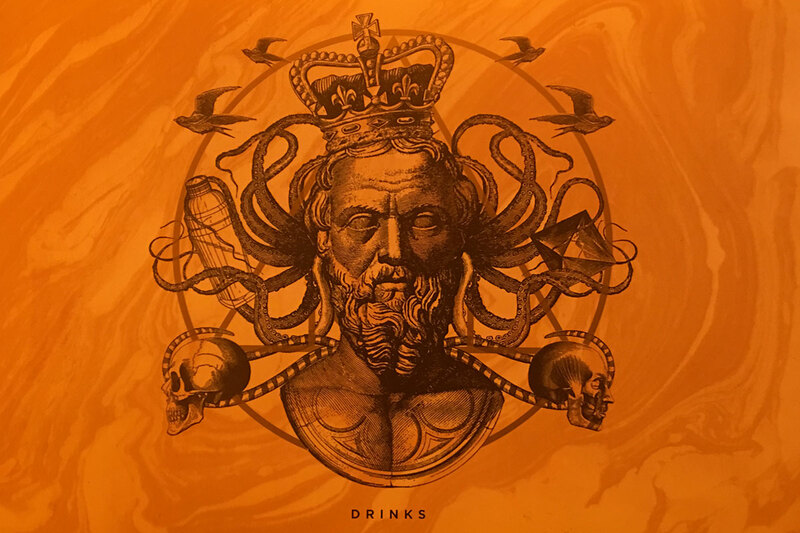 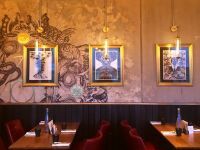 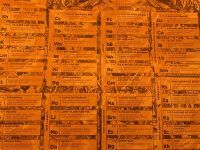 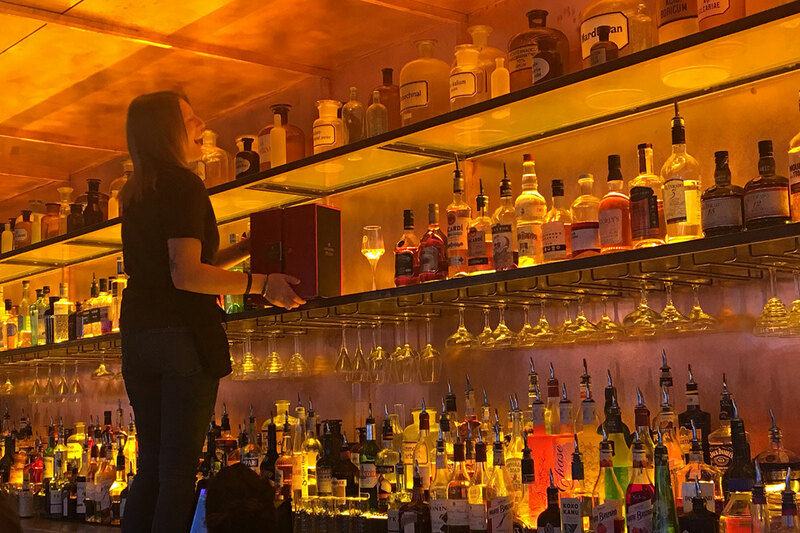 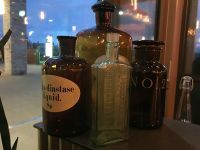 Quirky periodic table bar menu and the artwork adorning walls is from Fitzpatric Maloney who helped Living Ventures develop The Alchemist into the amazing brand it is today.